We took our Shredded Cheddar south of the border. 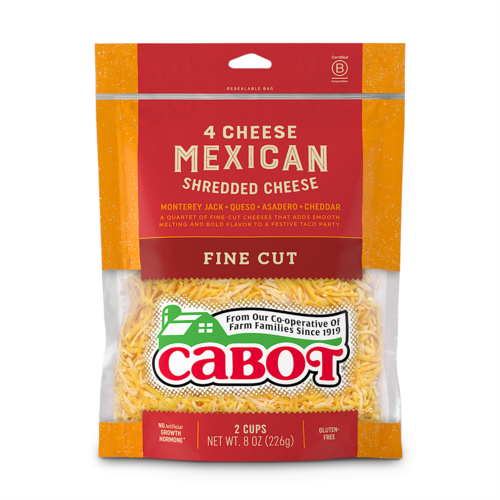 We took our Mexican Shredded Cheese south of the border to create a 4-cheese blend that brings an authentic taste of Mexico to your very own kitchen. This fine-cut medley of Monterey Jack, Queso Quesadilla, Asadero and Cheddar cheeses blends creamily into casseroles and melts smoothly atop tacos, nachos, enchiladas and all of your Mexican favorites. 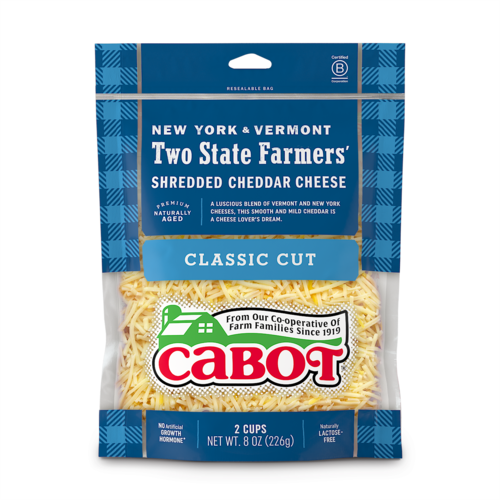 And like all of our Shreds, it’s pre-shredded convenience in a re-sealable 8-ounce bag! 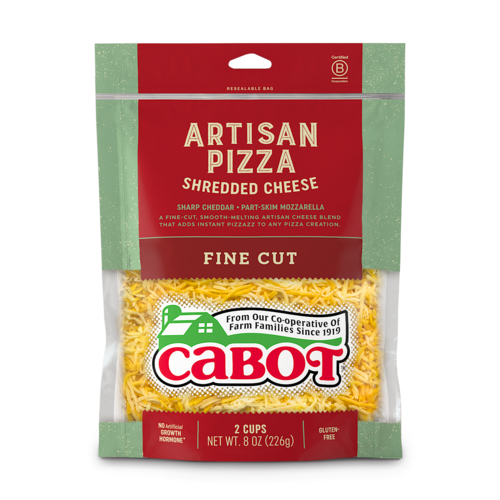 Ingredients: Cheddar Cheese (pasteurized milk, cheese culture, salt, enzymes, annatto [vegetable color]), Monterey Jack Cheese (pasteurized milk, cheese culture, salt, enzymes), Asadero and Queso Quesadilla Cheeses (pasteurized milk, cheese culture, salt, enzymes), potato starch, corn starch and calcium sulfate added to prevent caking, natamycin (mold inhibitor).